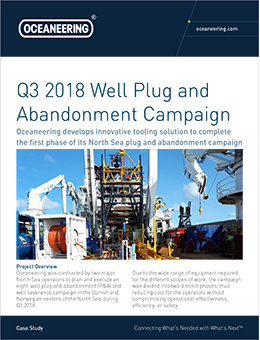 Oceaneering can provide a vessel-based solution that requires no risers or divers, allowing cost effectiveness and flexibility for accommodating unknown challenges. 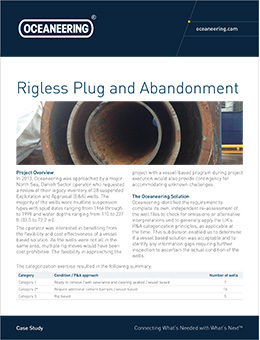 Typical programs includes the removal of Temporary Abandonment caps, the cut and pull of casings, the perforation and squeezing of cement, and setting the open hole to surface well barrier (environmental plug). 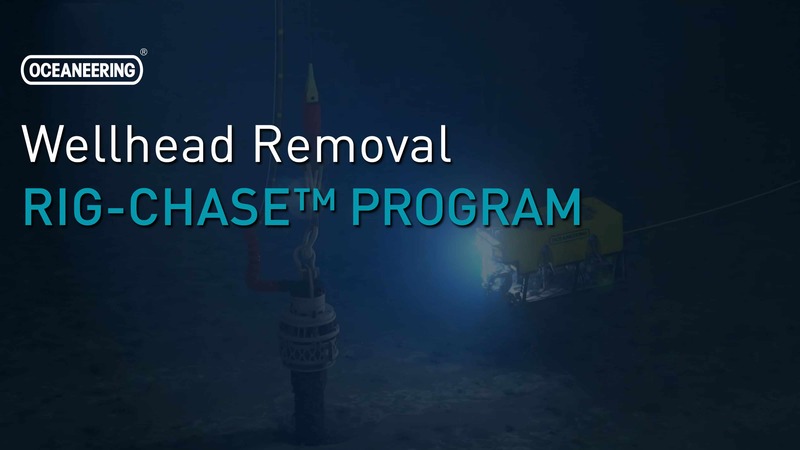 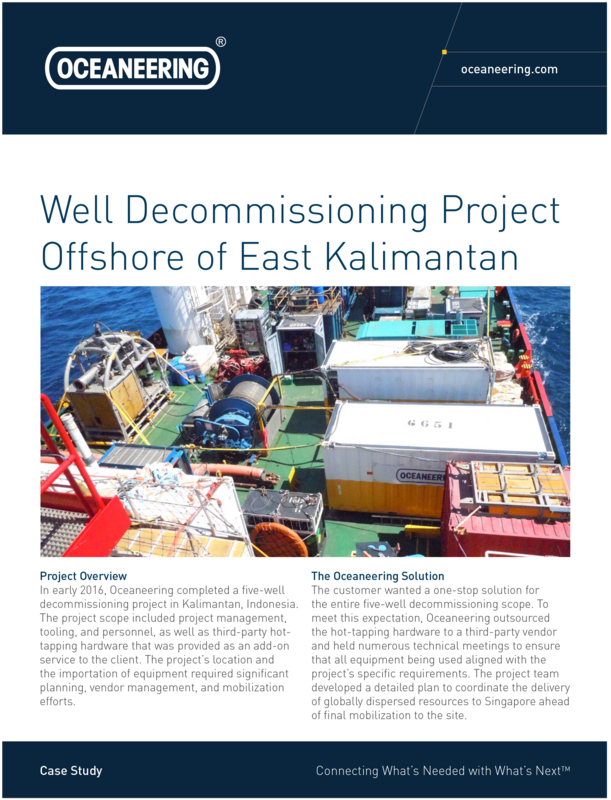 This program combines wellhead removal and debris clearance in a yearly multi-client vessel campaign, reducing expenditures through cost-sharing and minimizing risks with lump-sum based contracts. 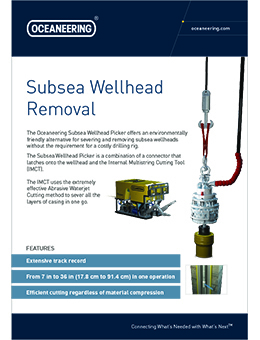 Oceaneering has been a pioneer on this approach since 2009, using its patented AWJC technology. 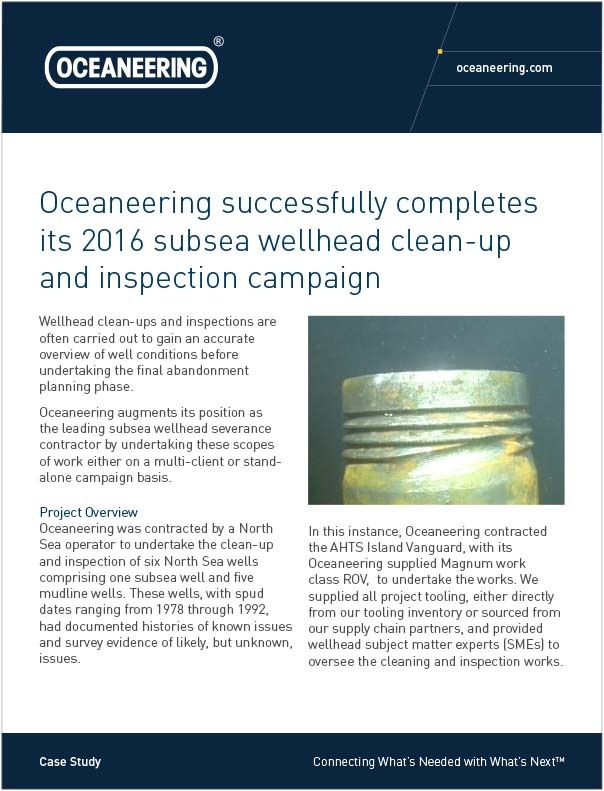 With an extensive track record of more than 100 subsea wellheads removed with a 100% success rate, Oceaneering is the most reliable provider of abrasive solutions and the only one capable to cut as deep as 400 m water depth. 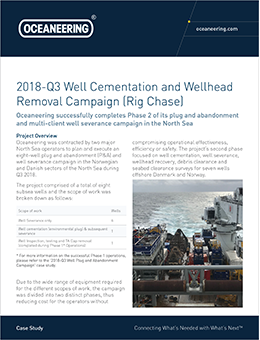 Lower well P&A or well suspension with hydrocarbon removal, using proprietary mechanical intervention well access systems (IRIS and BORIS) with open water wireline. 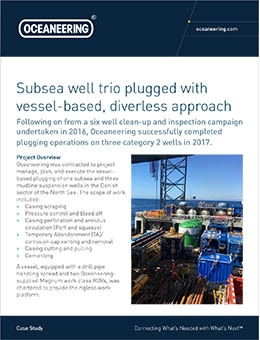 Oceaneering envisions a future with full riserless P&A - including reservoir and intermediate abandonment - by adding Open Water Coiled Tubing to our intervention systems capability.